Spenger’s Fish Grotto in Berkeley is always one of the more popular restaurants for the San Francisco Chapter. Fifty-two members met on June 3 to hear Margo Bart speak on “The Arctic: Inuit, Ice and Wildlife.” As always, her photography was superb. 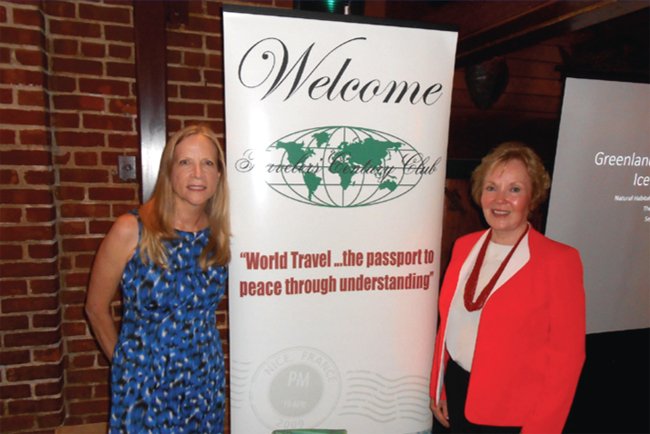 Linda Byers was also recognized for her achievement in reaching the 150-country milestone. The next meeting will be on Sept. 16 at the United Irish Cultural Center.